The Transaction Group (TTG) provides bad credit business loans with no-hassle approval and fast funding. If you’re having trouble getting a cash flow loan for your business simply because you have less than perfect credit, TTG is your solution. Your business will be approved as long as your business’ income is greater than $5,000 monthly, you have been in business for at least 12 months and have a separate business banking account. Download our loan application below, fill it out, and email it back. 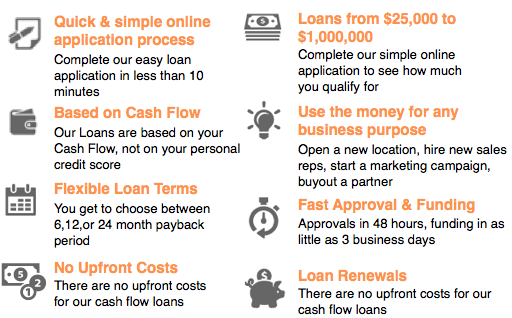 We’ll get you approved for a loan for up $1 million and have funding in as little as 3 days! At TTG, we understand the challenges you can face if you are a business with poor or bad credit. In addition to our bad credit business loan program, we also help businesses get set up with merchant accounts. If your business is in need of a credit card processing solution but are having trouble getting approved, we can help you with that too. With our easy application and approval process as well as our low rates, we’ll have you processing in no time and actually save you money!